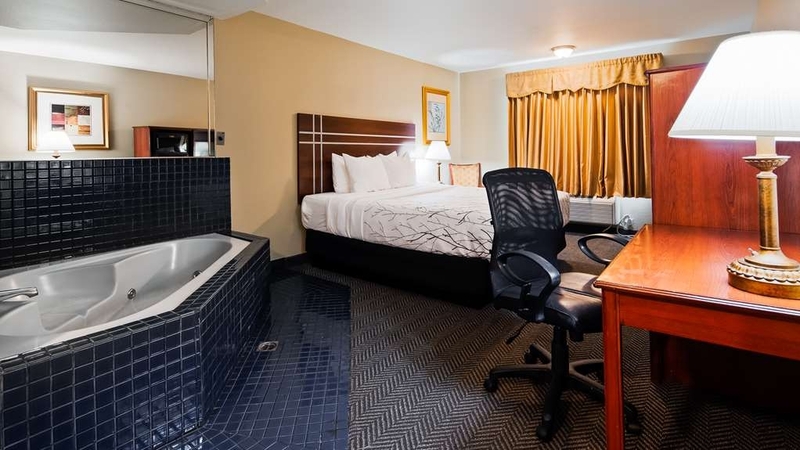 El SureStay Plus Hotel by Best Western El Cajon se encuentra en el centro de El Cajon. Venga y disfrute de las mejores atracciónes turísticas cerca de nuestro hotel. Precios bajos garantizados y ofertas exclusivas. "This place is a dive!" This has to be the worst Best Western that I have ever stayed in! Door locks had issues closing. Electrical outlets not covered. Blood stains on sheets and shower curtains. Garbage on ground near far stairwell that stayed there during out two day stay. Long white stain on floor that could have been some old body fluid. The list of grossness goes on. I understand that some rooms may be better, but they were full and they didn't have another room. I made the serious mistake of prepaying for the room in order to save $10 a night. If I would have walked away I would have lost my $180 for the two nights. Live and learn. The pool is not even close to the picture, but it was too cold so we could care less about that. Pictures will tell the story. All that I can say is look at a room before you part with your hard earned cash! We had made online reservations but there was a mix-up on our end when we arrived. The clerk was excellent, went above and beyond the call of duty to help us get the rooms we needed after a very long day of travel. No, amenities were not great, but everything was fine for our one-night stay. 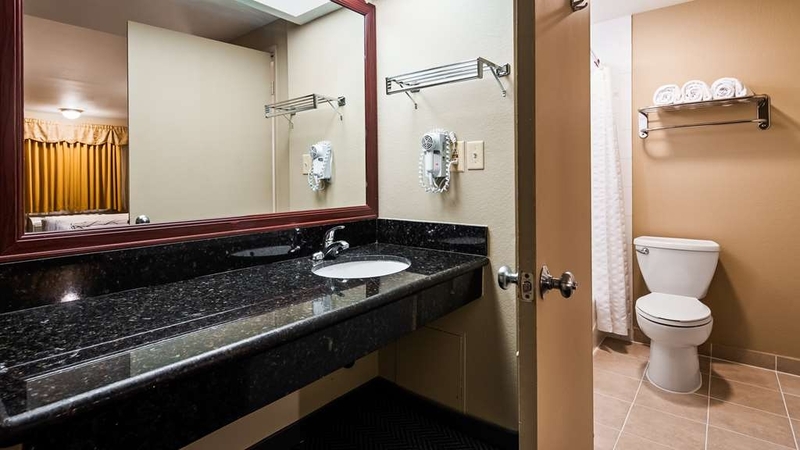 This is NOT an upscale Best Western Hotel. This is at the bottom end of their brand. Old, tired pillows and worn sheets, mini soaps and towels. Very friendly staff. Very poor breakfast offer. Surem we stayed here, but will not go back for the little price break. I guess Sure Stay Plus is new brand for Best Western. I saw the plus on the name and thought the place would be good, I was wrong. On the plus side it is clean and quiet. That's it. Old spooky place in a seedy neighborhood. The room smelled funny. They are remodeling but it won't change the fact that the rooms are old sty, small and cramped. They provide a small coffee machine, good luck finding a place to plug it in. Lame breakfast in too small room. Canned eggs, microwave burrito etc, obviously minimal effort. While I was there a family came in. That made the room SRO. I'll add this place to my list of Best Westerns I won't return to. That's the problem with Best Western, you never know. 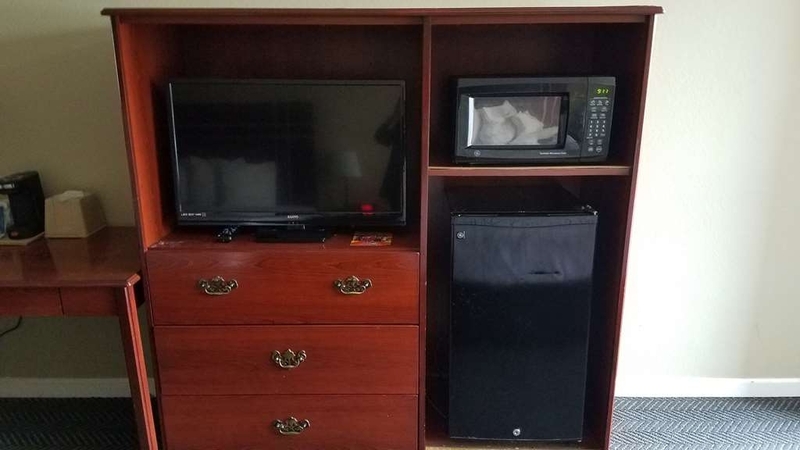 "Our stay at best western." We needed a room as we were in town for a couple of days. Room was huge, clean and comfortable. Everything worked as it should. Staff was very kind and helpful. There are grocery stores close by as well as a great Mediterranean restaurant on the corner. I would recommend. I was so pleasantly surprised by this hotel that I knew I had to write a review. I stayed with a co-worker and we both loved it. 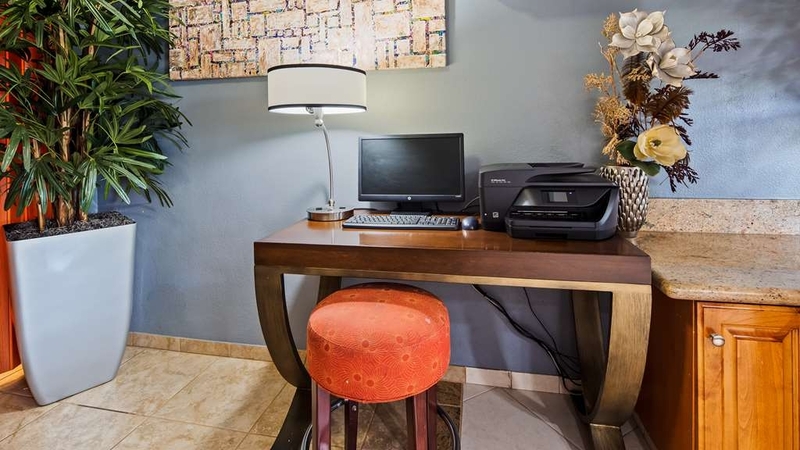 The front desk staff was friendly and helpful, the room was wonderful, clean and modern. I definitely recommend it. "Lower standards than a typical Motel 6." 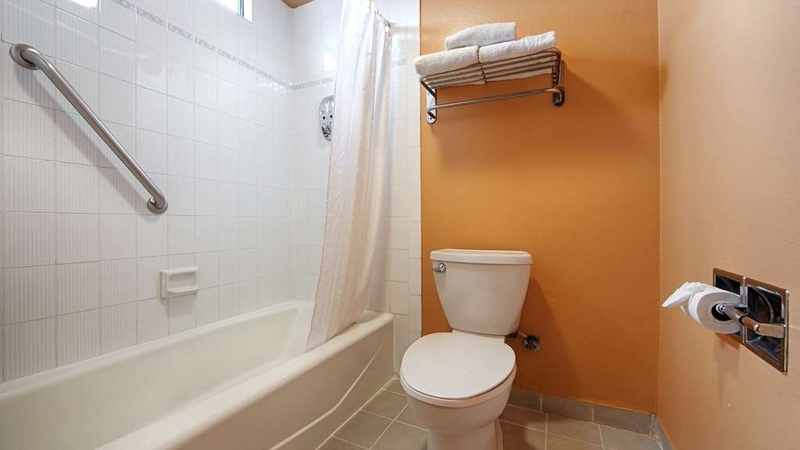 First, when you are paying $120.00 for a room, you expect a step above a Motel 6. I was extremely disappointed. Check-in was slow, with 2 un-motivated desk clerks. The room was musty, a couple mosquitoes and at least one dime-size spider inside, crying kid next door and breakfast was a disaster. No juice (machine out of order, leaving only water as a cold beverage option) no eggs and then later runny eggs, wannabe egg burritos which were mostly tortilla, tasteless bagels and bread (lowest quality), and no place to sit. The problems extended to their facilities. My key had to be re-keyed each and every time I left my room, sometimes twice. And I had to wait in line to do it. 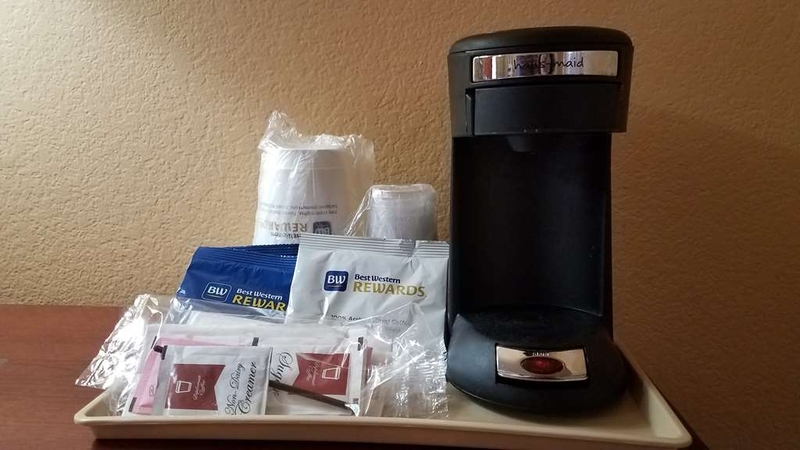 Anytime you spend a total of more than 30 minutes waiting in line or addressing issues that are caused by their own lack of maintenance or upgrades, you feel like you are not getting what you paid for, especially at $120 per night. 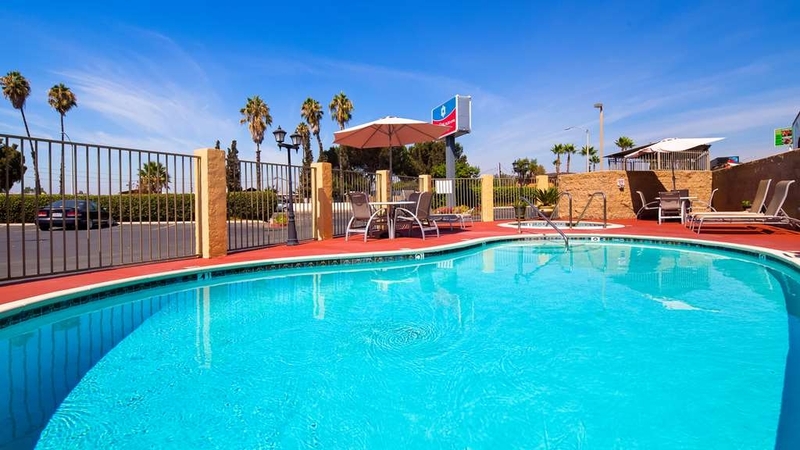 The going rate for this hotel should be 1/2 that price in most places in California, but the entire San Diego hotel market is so overpriced that they can get away with the higher rates. If you do the math, they have 366 rooms and, even mid-week (my stay was Thursday night), seem to be at or near full capacity. If they are charging $120 per room per night, they are bringing in up to $43,920.00 per day or in excess of 1.3 million per month. With revenue like this, you would expect that the owners would be able to give guests a far better experience and at least have working juice machines for breakfast. SURPRISED!!!. The area, the rate and the few not so great reviews. We took the chance, there were no other "choices" that weren't $500.00++ due to comic con. QUICK trip for a family wedding. Room 105 exceeded our expectations, comfy bed, HUGE clean bathroom, no travel toiletries, WHO CARES!. flat screen television, super small closet. The mini fridge was FANTASTIC!. my water was so cold I could not drink it, the fridge it kept my haagen dazs. A/C..............YES YES YES PLEASE. "Private summers" and 109' weather do not miss. the A/C all I can say is OH MY GOSH! I have stayed in many 5 star hotels, those A/C's do not compare.. Did I mention FREE breakfast? do it yourself waffles, eggs, sausage, oatmeal,yogurt, fresh fruit, and lots more. I will stay here again. I only gave 4 stars because the pool was very dated, the area was not great just okay, the ice machine charges $.25 for a bucket of ice. and I was not allowed to take my breakfast back to my room. Friendly and helpful staff. Booked for 2 queen beds but was given 2 adjoining rooms with 2 double beds each which was perfect for the family. We cancelled our other hotel reservation. Breakfast food is good. Dear Sir/Madam: Thank you for giving us a favorable review, we are consistently re evaluating our amenities to assure that guest like you and others do have a pleasant stay and that's why we mean hospitality. 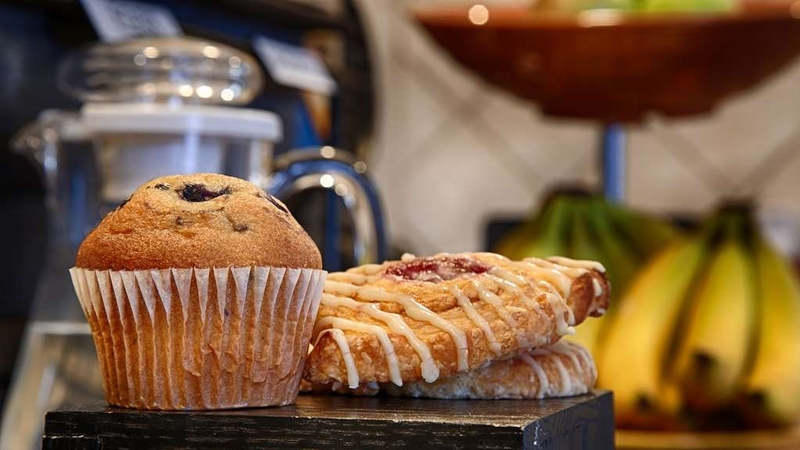 We are glad that you enjoyed our breakfast and now we have even better with more options. 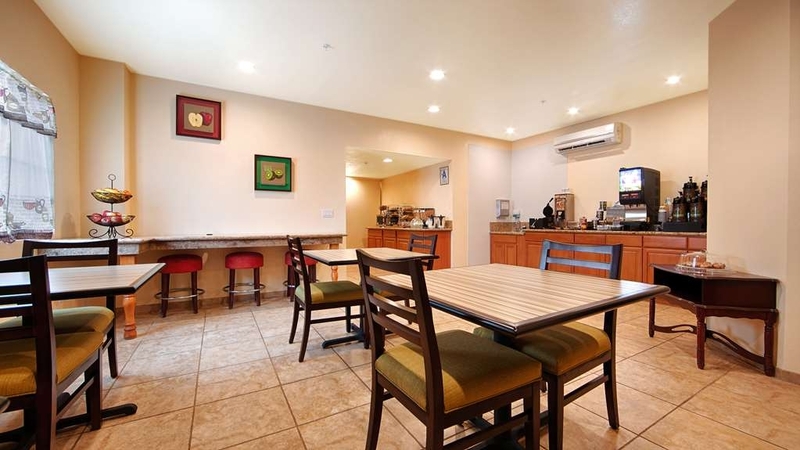 Our location is secure and have tons of amenities and few miles from downtown El Cajon. Once again our patronage and your comforts are our priority. 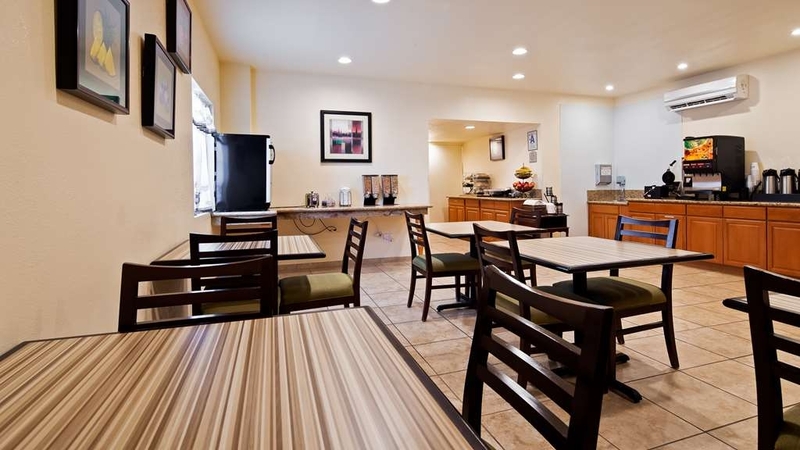 Thank You for the entire staff at Sure Stay by Best Western and hope to see you soon again. Respectfully, General Management. Our first room has SOAKING wet carpets and the staff acted shocked that the floors must have been shampooed and they were not notified. The A/C settings were worn off so we could not tell if they air was on cold or hot, high or low. We moved rooms; The A/C unit wasn't good at all and the room stayed warm all weekend. My husband had a bloody nose and we asked about fresh bedding and their only reply was that it may be taken out of our deposit. Don't stay here; unfriendly and ghetto. Dear Sir/Madam: We are concerned about your stay as we noticed that you were highly displeased with the concerns addressed. 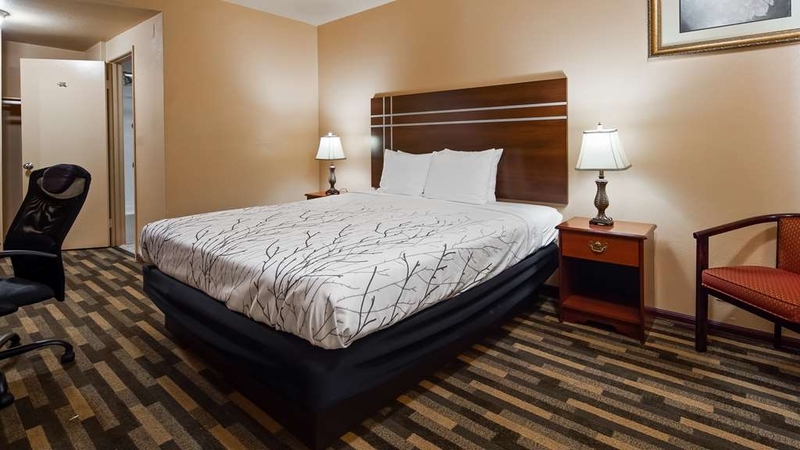 We are consistently evaluating many of our guest amenities to assure you that Sure Stay is a economy hotel that will suit your needs. We have improved significantly, and we look forward to resolving your concerns. Please call us at the property and look forward to speaking to you soon. 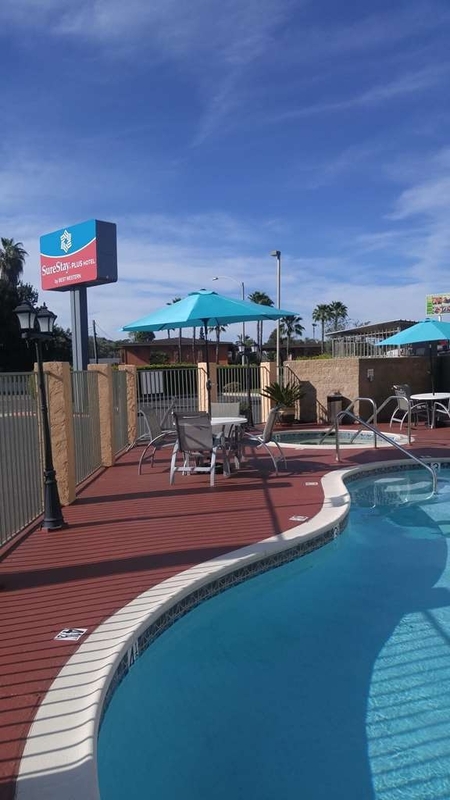 Thank you once again and our sincere apologies for the entire staff at Sure Stay by Best Western, El Cajon. Respectfully, Management Team. The room was very nice and clean. The air conditioner had all the numbers worn off but it worked well as soon as I guessed where to set it. The breakfast was OK but not great. Their juice machine was out of order all 3 days. Dear Sir/Madam: Thank you for giving us a favorable review, we are consistently re-evaluating our amenities to assure that guest like you and others do have a pleasant stay and that's why we mean hospitality. We are glad that you enjoyed all we had to offer you and now we have even better choices with more options. 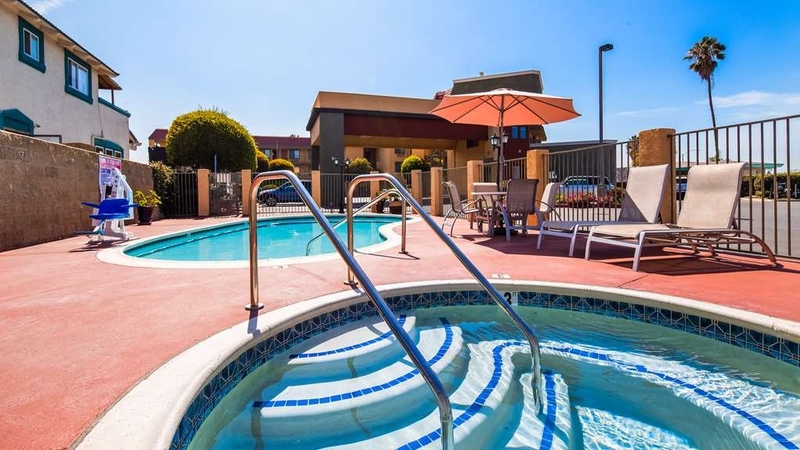 Our location is secure and have tons of amenities and few miles from downtown El Cajon. Once again our patronage and your comforts are our priority. 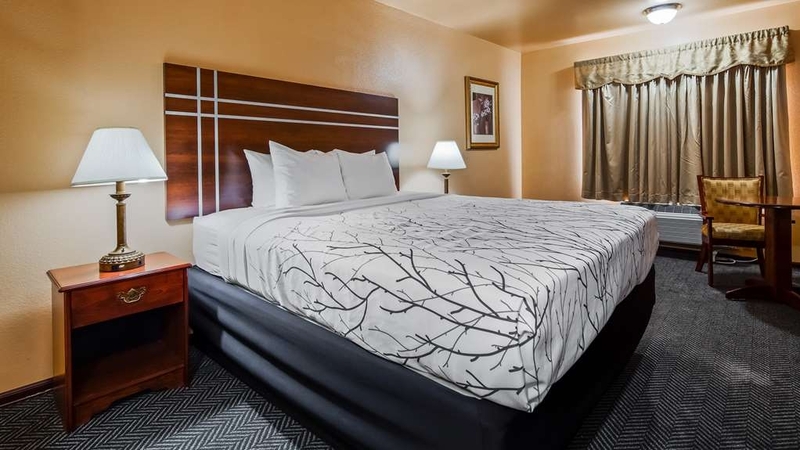 Thank You for the entire staff at Sure Stay by Best Western and hope to see you soon again. Respectfully, General Management. This was closer to a Motel 6 than a Best Western. The outside looks nice and that is where it ends. Our door handle was broken and the room was dirty. Great for prostitutes and drug dealers, but not a family. Says they are non smoking but the neighbors smoked all night and it came right into our room. There was a lot of traffic in the rooms all throughout the night. Unfortunately we paid for the whole week but left after the first night. The manager wouldn't refund us any nights. She said there was nothing she could do about the smoking and if we didn't like the roim then leaving was the best option. She herself is something else, very unprofessional and disgusting. I'm still wondering if she made up the fact that she was the manager. I know there isn't much to choose from in East county but go somewhere else. 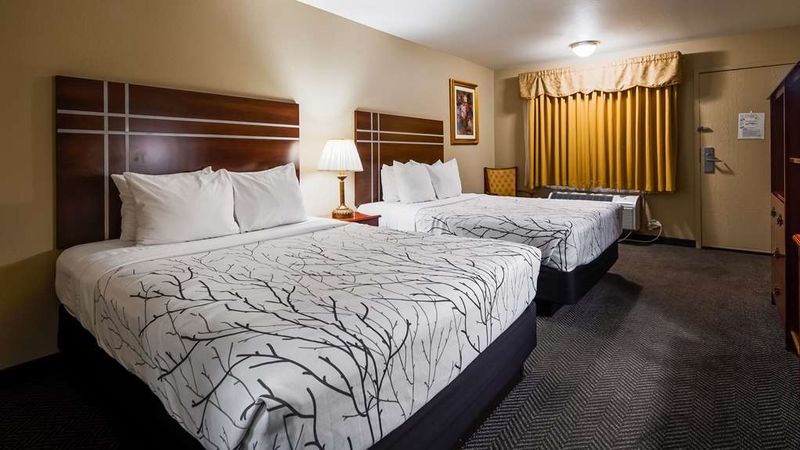 Paid so much for a weekend vacation here just to get a smoke smelling room AFTER requesting against one and the sheets were covered in cigarette holes. The service was Extremely slow and unhelpful. At check out 5 different customers came in trying to check out and ended up leaving their room keys on the counter while I was the one who tried to wait for someone but after 15 minutes of no one I left the key there. I do not recommend wasting any of your time here. Go somewhere more friendly. Dear Guest we sincerely apologize for the inconvenience of your stay we are in transition of management and training of the front desk you are valuable to us and we want to give you the best of the service your next time around, this is should not happen we value you as our guest and want to assure you that we will be here for you. Once again our sincere apologies to you and we hope that you will give us the benefit of the doubt and let us serve you again for the better. General Manager. The location is central however the clientele that stay at this BW property are less than desirable. As soon as we parked in front of our room we were overwhelmed with the smell of marijuana. When we got to our room with all our luggage we had the unfortunate pleasure of listening to the next door guest yelling at her young children, slamming her door and banging things in the table in her room. After two complaints the front desk personal called the police to handle the situation. We've had great experiences at Best Western hotels before so had no hesitations about booking this one, but were very disappointed. The first thing we noticed was that our non-smoking room smelled like cigarettes (and had multiple cigarette burns on the bedspread!). Overall just older and dirtier, and I agree with a previous reviewer that it seemed like there was a lot of activity in the parking lot that didn't belong there. Finally, we couldn't get the shower in our room to work; turns out that's a regular problem and that you have to pull VERY hard to get the water to turn on. Wouldn't recommend; would be decent for a budget hotel but definitely expect more for $100+ per night for the basic room. "BW Gives good quality for the price." I rented a king suite for 2 nights and enjoyed the stay. Staff feels pressured by management to meet deadlines on check out and may over react however, it was a good stay overall. Brought the wife and kids with me while I was in town on a business meeting and we ended up staying 2 nights instead of the 1. I have stayed at this hotel many times in the past few years in travel from Branson, Mo to San Diego area. Staff is always great, rooms not exceptional but all the comforts of home at easy price and, usually, room available at short notice. Also, easy access off and on freeway. Thank you so much for staying with us whenever you come to San Diego. We look forward to your next stay and hope to help in any way possible. "Acceptable accommodations & friendly staff"
Room was decent & comfortable but could use some updating. Hotel was in a less than desirable area (lots of sirens & surrounded by mobile homes) but we felt comfortable while on site. We appreciated that the breakfast had real eggs (not the watery, microwave in a bag kind). 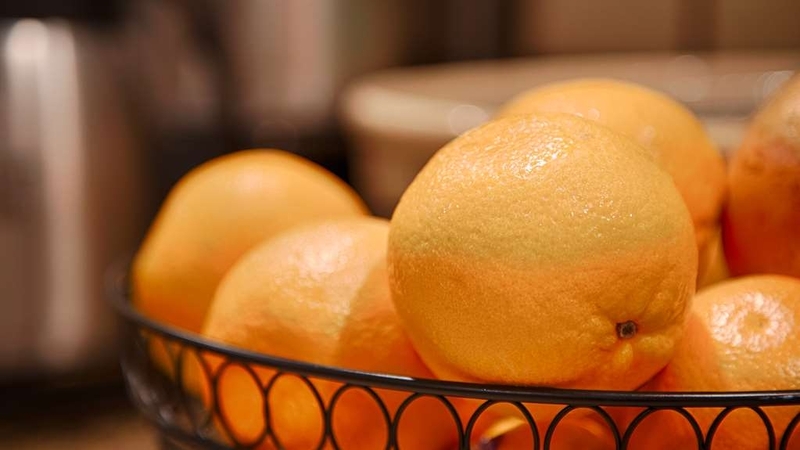 Breakfas choices were scrambled eggs & sausage one day or breakfast burrito the next, hard boiled eggs, waffles with several topping choices, cold cereal, prepared oatmeal (not instant), yogurt, bagels, English muffins, toast or mini cinnamon rolls.